First-, second-, and third-place winners will be awarded in sixteen categories of the Short Prose & Poetry Contest. The entries must be original, unpublished (see definition below*), and in English. You do not have to be a member of SWW or MWSA to enter. For the Contest Submission Form, click here. Prose: Limited to 3,500 words. For Nonfiction categories, footnotes are not part of the word limit. The body of the submission should be in 12 pt. Times New Roman, Ariel, or Courier, with the title in 14 pt. Submission should be double-spaced and have one-inch margins. Poetry: Limited to 250 lines. The submission should be in Times New Roman, Ariel, or Courier. Font sizes can range from 12-18 pt. Spacing is at the author’s discretion. Poem form/style (freeform, haiku, etc.) must be included in the manuscript above the title. A total of three entries allowed per author. The three-entry limit can be in one category or a combination of categories. Entries must be original, unpublished (see definition below*), and in English. Author’s name should not appear anywhere in the submitted document. First-place manuscripts from previous SWW Contests are ineligible. Each entry will be assigned a number. Corresponding author names will be kept secure to ensure unbiased judging. 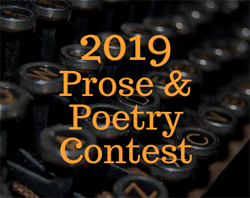 Entries will receive at least two evaluations by published authors and/or professional editors. Total points will determine the winning entries. In case of a tie, the SWW contest committee will arbitrate to pick a winner. SouthWest Writers reserves the right to disqualify any entry if contest rules are not followed, such as word limit exceeded or author’s name appearing in the manuscript. Evaluators may enter the contest, but not enter any piece into a category they are reviewing. By entering the contest, you agree that matters relating to the contest, which are not specifically covered by these rules, will be decided solely at the discretion of contest officials. You will accept as final and be bound by all judges’ decisions. You understand and agree that your manuscript will be evaluated subjectively, and SWW cannot accept liability for consequences arising from any opinion expressed. You agree to hold harmless and indemnify SWW, its agents, employees, and volunteers for any and all losses, costs, or expenses incurred from any dispute arising from your participation in the contest. For Judging Criteria, click here. Make sure your name is not included anywhere in your submission (not even headers or footers). The entry will be assigned a number to ensure unbiased judging. You will be asked: If your submission is a first-place winner, do you give SouthWest Writers permission to use it in an upcoming anthology without compensation? By answering “Yes” the author grants SouthWest Writers first publication rights. First-, second-, and third-place winners will receive medals and certificates. In addition, first place winners in each category will have the option to have their entry published (without compensation) in an upcoming SWW anthology. The top three award winners in each category will be notified via email by July 15, 2019, but the specifics of the award will remain secret until announced at an awards dinner on Saturday, September 14, 2019 at Hotel Albuquerque. The dinner is being held in connection with the SWW/MWSA Joint Writing Conference (specifics about the conference and the dinner are forthcoming). Contestants can attend the Awards Banquet without being required to attend the conference. If a winner cannot be present to receive the award, it will be sent by regular mail. Winners’ names will be posted on the SWW website and in the SouthWest Sage newsletter after September 14, 2019. *Published vs. Unpublished: “Published” is defined as offering for distribution or actually distributing copies of a work to the public whether or not it was offered for sale. SouthWest Writers has determined this includes, but is not limited to, the following venues: newsletters, eBooks, blogs/websites, magazines, traditionally published (HarperCollins, etc. ), or self-published books which have been released for sale to the general public. Material is considered unpublished if it was not intended for public distribution or if only a few copies were created and distribution was limited. For questions, please send an email to Info@SWWriters.com.